Want "Good JuJU" for the Steelers? 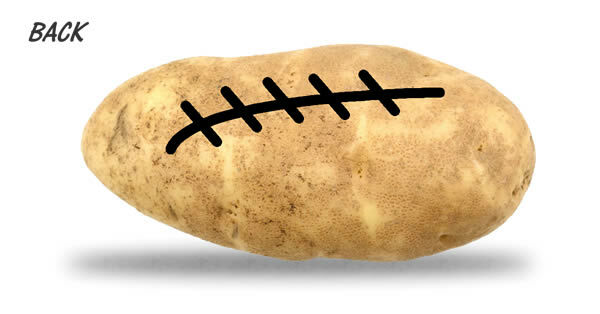 get the FOOTBALL tater that provides good luck. Create "Good JuJu" for the Steelers in the playoffs! 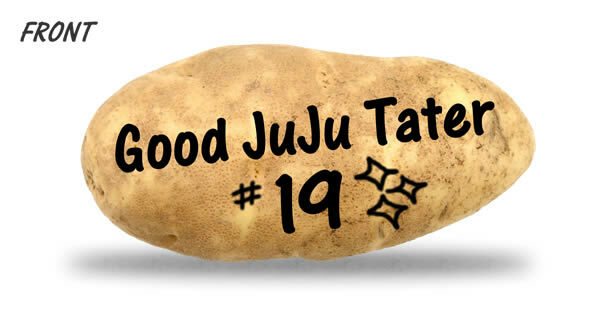 Order a Good JuJu TaterGram™​ today. How to Use Your "Good JuJu" Tater. The following Good JuJu Playbook™ is mailed with every Good JuJu TaterGram™​. Turn your Good JuJu tater with the laces pointing back toward you to give some bad JuJu to your opponent. It has been known that kickers who kick the laces miss more often. No Steelers fan can deny the meteoric rise of JuJu! This guy has some serious JuJu. Unlock its full potential - quickly repeat "Good JuJu" 19x times in a row as fast as you can before the play clock expires. This move should only be used in dire 3rd and long situations and should only be used once per half. This takes about 15 seconds to complete so be ready! Spread the "Good JuJu" to others like AB, MB, Jesse James, and Vance McD. To generate receiving success by non-JuJu pass catchers, pass the Good JuJu Tater™​ to a friend or to yourself. For the Good JuJu to work, the tater pass must be completed and the pass must travel more than 2 yards; otherwise the Good JuJu will fail to release. Complete this move just prior to the play to release Good JuJu. Again, this move should only be used on critical downs, no more than once per half. This might sound crazy, but a true Steelers fan will do whatever it takes to help win. HERE WE GO STEELERS, HERE WE GO! 4. "Recharge" your Good JuJu Tater™​ and Store in the Freezer for next game. Take care of your Good JuJu Tater™​and it will take care of you. Recharge the Good JuJu levels by holding your tater, close your eyes, and recite at least 10 of the quotes of the Football gods (list of 30 included with every Tater). 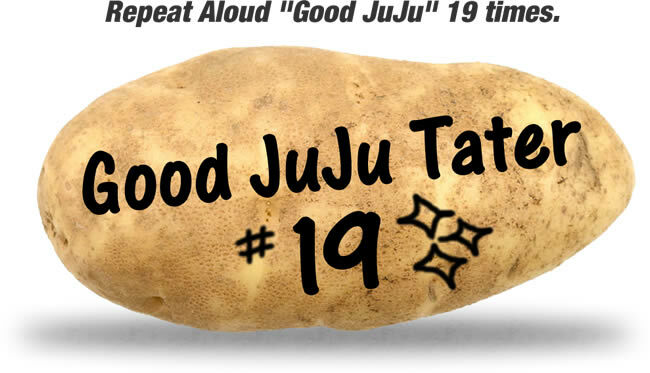 Be sure to put your Good JuJu Tater™​ in the freezer to preserve the Good JuJu for next game. All Good JuJu Taters are "blessed" by a lifelong Steelers fan who grew up in Pittsburgh, now lives in Atlanta with NFL Sunday Ticket, 6 Terrible Towels, 5 jerseys, and an insatiable will to win. Can't play the game? Well, do what you can -- commit mind, body, spirit (and vegetable) to the effort. GO STEELERS! Will you help do WHAT IT TAKES to win it all? Do Your Part -- Order Someone a Good JuJu Tater™ and the Good JuJu Playbook™ Today!